This quirky clock is a must-have for your man-cave, den or games room. 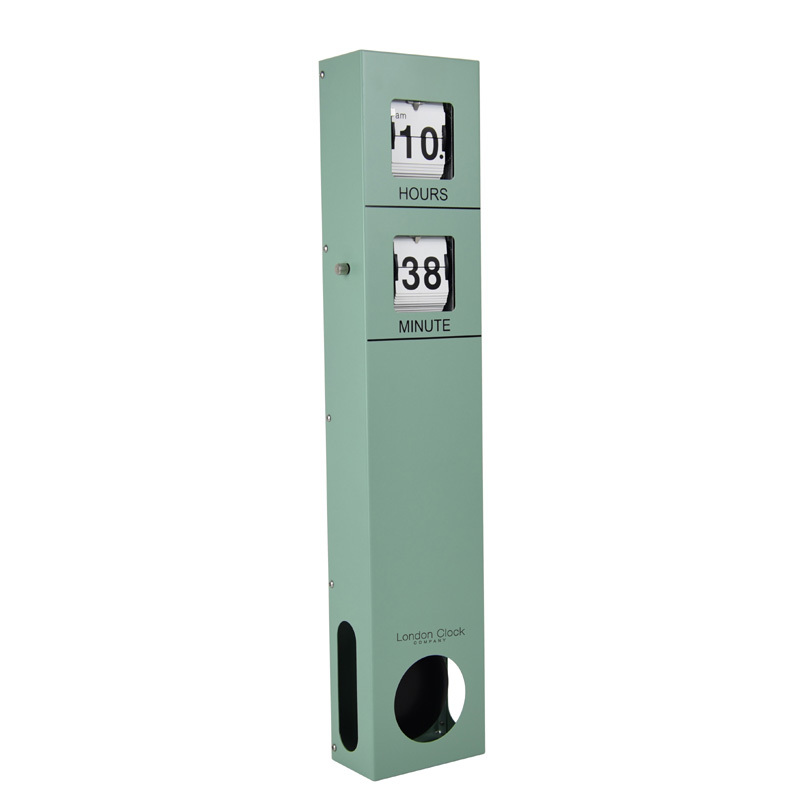 The clock resembles a tall vending machine with the hours and minutes displayed in cut-out holes in a flip-card style. The design is fresh, fun and modern. The timepiece is crafted from metal and finished in a trendy green colour with black numbers on a white background. Get the smiles going when your friends see this way-out timepiece in your home. Size H48cm x W9.5cm x D5.5cm.